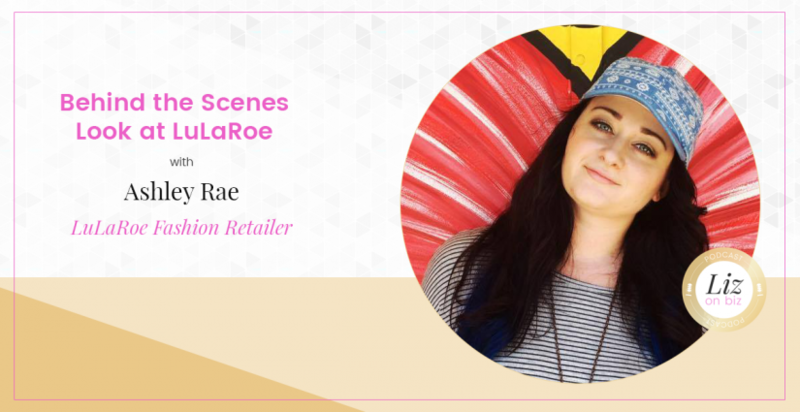 Ashley Rae lives in San Diego, CA, and left her corporate marketing & PR career to sell LuLaRoe full time. LuLaRoe is a comfortable clothing brand for women, men and children. Ashley enjoys using her marketing skills to promote her own business, working from home and managing a team of 200 other fashion retailers all over the country. [5:00] – Ashley shares her journey leaving her 9 to 5 career in PR and marketing to pursue LuLaRoe full-time. [8:23] – Ashley’s mom used to work in fashion and owned a boutique called “Twin Fashions” with her twin sister. [9:24] – Thought about LuLaRoe originally as a “side-hustle” and creative outlet – not a full-time gig. She also shares the story of her launch party. 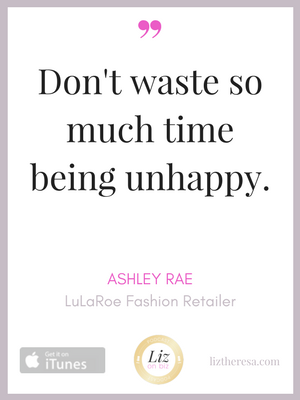 [13:09] – She originally was spending 20 hours per week on LuLaRoe. [14:49] – Decision to go full-time after speaking with her sponsor. [19:04] – The technical aspects of selling socially. 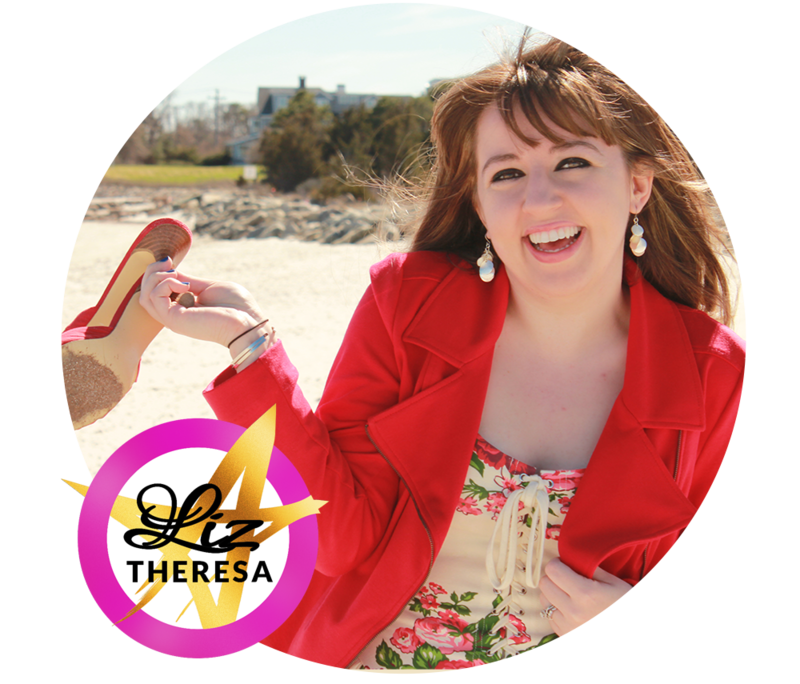 [27:58] – Lessons gleaned from Ashley’s experience: consistency, engagement, giveaways. [40:00] – Ashley’s last words.